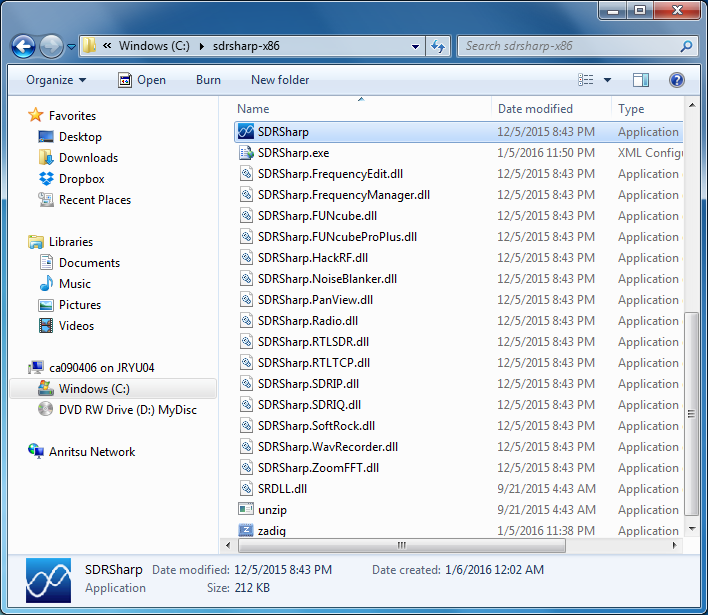 There are many places where you can download SDRSharp. Also there are many different versions for it. So you may get different version when you are downloading the program. I download the program from AirSpy on Jan 5, 2016. When I downloaded it, the file name was sdrsharp-x86.zip. I am using Windows 7 for these posts. There is no setup files for this program. You only have to unzip the downloaded zip file whereever you like. You will see all the necessary files in the single folder as shown below. Before you run SDR, it is VERY IMPORTANT to install the proper device driver for the device you are using. I will explain on the driver installation in a separate page. I am using a TV301U DVB-T USB Stick (E4000) from NooElec Dec 2013 (You would not get the exactly same device any more, but you can get more recent device). They would deliver only Hardware and would not deliver any software and device driver. 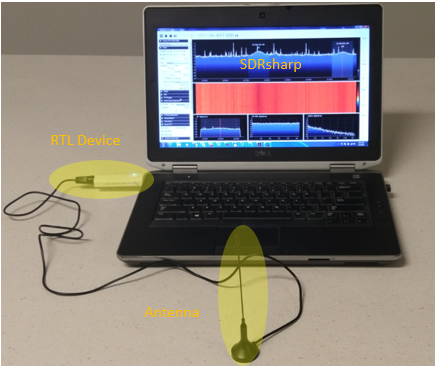 Following is the complete setup running SDRSharp with RTL Device that I used for the tutorial.